Whether you are a huge fan of Italian food and you are looking for the perfect pizza restaurant or you’d rather choose a gourmet restaurant, you will find plenty of options in Kerala (State). Kerala (State) counts with an amazing gastronomy that is even getting highly valued in other countries, but, why do we choose a restaurant instead of another? At Infoisinfo we always work hard do be able to show you the best services in Kerala (State). This time, we want to help you out to find tasty and quality restaurants and bars for every occasion. Therefore, we’ve prepared a list of the best restaurants and bars in Kerala (State) for you to find the perfect pace whatever your tastes and budget are. 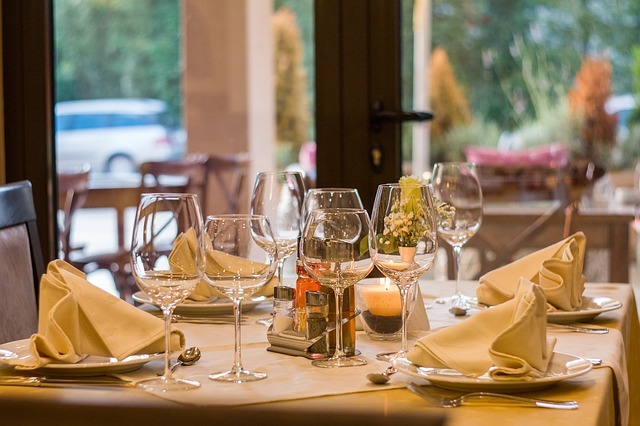 You could fine from fine dining restaurants to takeaways or fast food restaurants, for example. 36/1315, Lissie Junction, Opp. Reserve Bank of India, Banerji Road, Kaloor, Kochi, Ernakulam. Kochi. Ernakulam. tass hall road, Kochi. Kochi. Ernakulam. Mall of Travancore,Eanchakkal,Thiruvananthapuram,, Enckakkal. Thiruvananthapuram. Thiruvananthapuram. We are introducing Healthy Dosa with peculiar features. Dosas for cholestrol patients & Sugar patients. Iswarya Residency Azad Lane, Thirunakkara, Kottayam Kerala. PIN-686001, Kottayam. Kottayam. Kottayam. sn puram , kodungallur, Sree Narayanapuram. Mathilakam. Thrissur. Oorassala ,Olikandam Road, Pala Bypass Rd, Arunapuram, Pala, Kerala 686574, Kottayam. Kottayam. Kottayam. Panchayath Junction Kochi-Madurai-Tondi Point Highway Thiruvankulam, Ernakulam Kerala, India, Kochi. Kochi. Ernakulam. N.P.Complex, Mannath lane Garden Mall, One way street M.G Road, Behind Ambika Arcade, Poothole. Thrissur. Thrissur. Empire Plaza - Empire Grande Suites, NH 47, Vytila, Aroor Bypass, Kundannur, Cochin - 682 304, Kochi. Kochi. Ernakulam. Empire Grand is the best budget hotel in Kochi(Cochin) offering budget stay with 3 star hotel facilities that are the best in town. Happy stay guaranteed! m c road, Nattakam. Pallom. Kottayam. Door No 41/148 A and 41/148 B, Pushpamangalam Estates, Ground Floor, N H Bypass, Service Road, Edapally, Ernakulam, Edappally. Edappally. Ernakulam. Main Road, Nemmara, Palakkad 620294), Palakkad. Palakkad. Palakkad. We are doing Netcafe | Computer Education | Computer Horoscope | DTP Works | Colour Printing | Photo Printing | Lamination | Photostat | Colour Photostat | etc..
Aadikadalayi,via aadikadalayi Krishna temple, Kannur. Kannur. Kannur. Light House Road, Vizhinjam, Kovalam, Thiruvananthapuram, Kerala. Thiruvananthapuram. Thiruvananthapuram. Centre Plaza, Vazhuthacaud, Thiruvananthapuram, Kerala. Thiruvananthapuram. Thiruvananthapuram. Jetty Rd, Kollam, Kerala. Kollam. Kollam. 1st Floor, Silky Mall Building, Near Nikshan Electronics, Global Village, Bank Road, Kannur, Kerala, Payyavoor. Irikkur. Kannur. City Center, General Hospital Junction, Alappuzha, Kerala, Alappuzha. Alappuzha. Alappuzha.